My REGULAR SHOW Comic, “Sombrero World,” is Out This Week! SCRIPT WITH COMMENTARY! 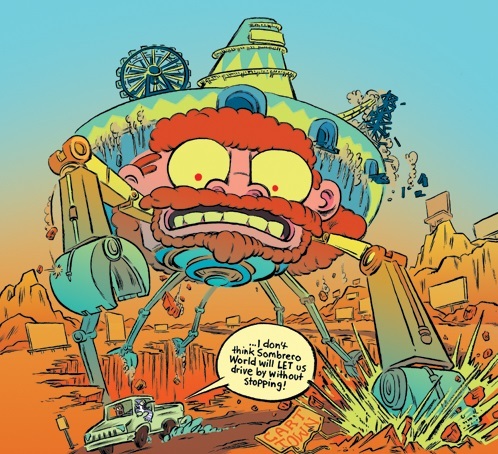 Comments Off on My REGULAR SHOW Comic, “Sombrero World,” is Out This Week! SCRIPT WITH COMMENTARY! And now for a special presentation! 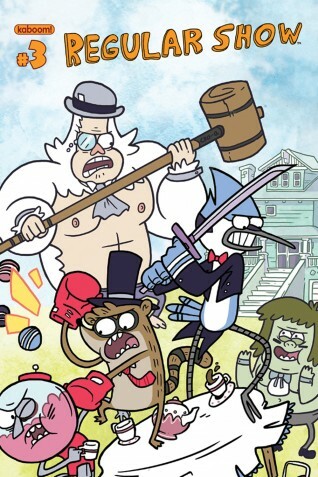 This Wednesday, August 28, sees the release of REGULAR SHOW #3 from KaBOOM!. It is the first comic I have written that has appeared in a hard-copy form that you can buy in comic book stores and have to pay money to get. Well, I only wrote eight pages of the comic. But due to some last-minute shuffling, it’s now the LEAD story and the first thing you see when you open the issue. Hmm hmm! Hmm! You can order the comic here, or buy an electronic copy on comiXology here. You can also read an interview I did with a local paper about it (for the aforementioned STREET CRED) here, and check out the first five pages of the story here. And if you enjoy the superhumanly awesome art of Brad McGinty on this story, you can buy all eight pages of the original art for $2,060.04 here. That’s a pretty good deal. Come to think of it, I need $2,060.04 myself, plus bennies so I can get those pages and have ’em framed on the wall. If you really like that art, you’ll be happy to know that Brad and I will be doing the backup story for ADVENTURE TIME #20 next month, AND Brad will also be doing another REGULAR SHOW tale with…I dunno, some other writer in a future issue! We’re aiming to do more backups and possibly a miniseries, but let’s see if people actually like this before we go buggin’ KaBOOM! and Cartoon Network to let us keep playing with their characters. Anyway, I’m very proud of this story and it got a thumbs-up from none other than REGULAR SHOW CREATOR JG QUINTEL HIMSELF. So here’s some sweet behind-the-scenes material for the dozens, yes dozens of you who are likely curious about how I became a comic book rock star or whatevs. 1) I did my own comic, THE STARS BELOW, that had good art and took like two minutes to read. This was a good writing sample. 2) Relentless-yet-polite harassment of the KaBOOM! editors I knew. 4) Convinced Brad McGinty, who I’d met at Heroes Con, that i could maybe write a decent script for him. KaBOOM! dug his jive. Baby, we had a stew goin’! SO WHERE DID YOU GET YOUR IDEA FOR THIS , ZACK? For years, I have been obsessed with South of the Border, a faux-Mexican tourist trap on I-95. it is advertised with relentless day-glo billboards with relentless bad jokes and horrifying, sometimes racist “Mexican” puns. There are something like 150 of those billboards, and when you’re stuck on a desert highway, there is little to do but obsess over them, especially if you’re a bored kid stuck in the back seat in the days before they had DVD monitors in cars to pacify little monsters. Once you get there, there’s a giant Eiffel Tower replica with a sombrero on top and…not much else, beyond cheap trinkets and broken-down rides. But there’s a certain joy to having gotten there, especially if you weren’t able to get your parents to stop when you were younger and in the backseat. I had actually done another comic story parodying SotB years ago, but the lovely art was covered up by my excessive dialogue and the joke required people to already be aware of the place. When the opportunity came to pitch some REGULAR SHOW stories, I realized this was a chance for a do-over. If you don’t watch the show (you should; it won an Emmy), it’s pretty simple: Mordecai and Rigby are a blue jay and a raccoon who work at a park, under the auspices of a living gumball machine named Benson. Every episode, some “regular” task (setting up chairs, asking out a girl, etc.) devolves into some massive conflict that involves fistfights, explosions, and the occasional unraveling of reality. There are also many, many references to 1980s popular culture. This was my bag. As such, South of the Border was the kind of thing that the ADD-afflicted Mordecai and Rigby would gravitate towards — a temptation while stuck in a car on some boring task. And I thought of a way to escalate this in the typical RS manner for a good apocalyptic showdown — I’ll tell you more about this in a moment. Ironically, REGULAR SHOW wound up airing an episode called “Firework Run” involving a fireworks place called “South of the Line,” after I made this pitch. I was sure Cartoon Network would reject the story because it was too similar to that episode! But they wound up taking it anyway. They’re very different types of stories; “Firework Run” is more of a parody of Mexico-set crime films, while this is more of a straight-up parody of South of the Border-the-park. KaBOOM! initially gave me six pages to tell the story. I got to Page 6 and found I had like five pages worth of story left. They generously gave me eight pages instead, and I found a way to cut it back. There were a number of ideas that I didn’t get to, which I’ll tell you about, even though they weren’t good. So here’s my full script to “Sombrero World,” not the final draft, so I can note the revisions and cut jokes. You might find this useful, maybe, possibly. 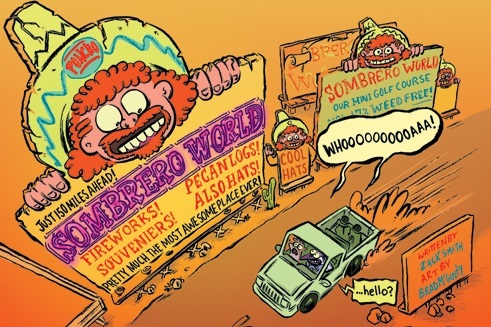 PANEL ONE: BIG PANEL showing the billboard for SOMBRERO WORLD, a crazy faux-Mexican tourist trap. MORDECAI AND RIGBY are looking up at it through the windshield of the park’s pickup truck with Mordecai driving. Mordecai absently holds a cell phone in his hand. CREDITS appear below the billboard. The billboard is a parody of such tourist traps as South of the Border in Dillon, South Carolina. For reference, here’s a photoset my boy Chris Sims took of his trip to South of the Border, as whatever bad puns I think of cannot match the actual power of the real tourist trap. Here is also a report of his trip with photos. Go crazy with the design of this. It is essentially done up in neon colors like hot pink, and incorporates a sombrero motif. There is also a mascot called PONCHO, who is a blond-haired, white, obviously-non-Hispanic surfer dude wearing a poncho and a giant sombrero. His name is on the poncho. PRETTY MUCH THE MOST AWESOME PLACE EVER! MORDECAI AND RIGBY: (shared word balloon) WHOOOOOAAA. (ZACK NOTES: Okay, here’s where Brad McGinty is a great artist — I originally scripted this as a shot from INSIDE the truck, but Brad changed it to an outside shot, creating a nice POV and a real sense of movement and action. PANEL TWO: We’re outside the truck, looking at Rigby pressing the face against the window, awestruck by the billboard (perhaps Poncho is reflected in the mirror). Mordecai has snapped out of his trance and is on the phone with Benson. RIGBY: (small) …it is the most radical of empires to all that which is radical. (ZACK NOTES: Okay, here’s where a cut joke came in. It was a “Kill Your Darlings” situation, because I was high on this one, but it slowed down the story when every panel needed to count. PANEL FOUR: Cut to MUSCLE MAN and HI 5 GHOST at a crazed outdoor music festival that’s basically the Gathering of the Juggalos. 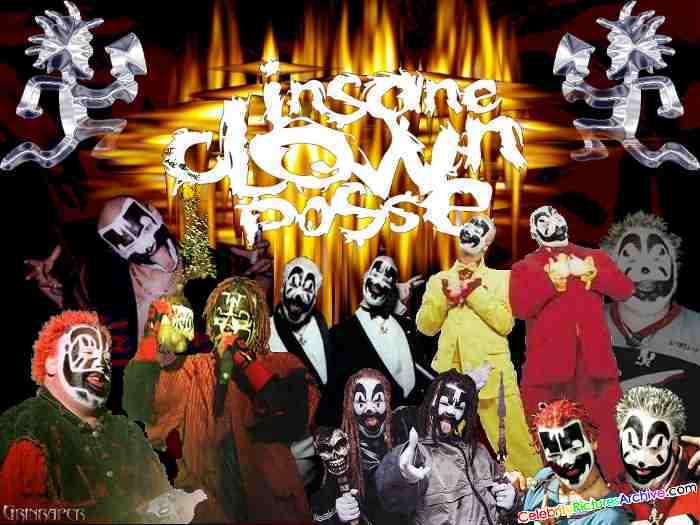 Muscle Man and Hi 5 Ghost are both painted like Insane Clown Posse, but with the black-and-white parts of the face paint reversed. Muscle Man has ripped off his shirt and is twirling it above his head. If room, other recurring characters (perhaps the Guardians of Eternal Youth) are nearby face-painted as well. MUSCLE MAN: WHOO! WHOO! LAST ONE IN THE MUD PIT’S A JUGGA-LOSER! PANEL FIVE: High-angle shot looking down on the truck with billboards for Sombrero World on both sides of the road. Mordecai hastily covers on the phone while a wide-eyed and entranced Rigby has his head out the window like a dog. MORDECAI: Oh! Hey, Benson! Still here! BENSON: (on phone) I KNEW IT! You’ve gotten distracted already! PANEL SIX: Back to Benson in bed as he screams red-faced into the phone. BENSON (on phone, HUGE): OR YOU’RE FIRED!!!!! PANEL TWO: Mordecai and Rigby look ticked as they drive on; there’s a blurred-image double-take effect to show Rigby getting distracted and looking out the window mid-sentence. From this point on, a TICKING CLOCK is visible in each panel. MORDECAI: Man…Benson’s such a crank. PANEL THREE: Mordecai and a frantic Rigby look up at another billboard featuring Poncho. He looks slightly sick and has a stomach pump hooked up to him as he gives a thumbs-up with one hand and holds a fish taco (literally a whole fish in a taco shell, with Xs for eyes and flies hovering over it) in his other hand. ALL YOU CAN EAT FISH TACOS! NOW WITH ON-SITE STOMACH PUMP! RIGBY: MORDECAI! WE HAVE TO STOP THERE! THEY HAVE TACOS! PANEL FOUR: Mordecai irately swats away an over-excited Rigby. MORDECAI: No way, dude! We’ll be lucky to make Benson’s deadline as is! MORDECAI: …getting this job done with no shortcuts, no distractions…AND TOTALLY RUBBING IT IN BENSON’S FACE. MORDECAI: It would BLOW HIS MIND. MORDECAI AND RIGBY (together): HMM HMM! HMM! PANEL SEVEN: BIGGEST PANEL OF THE PAGE: The truck drives on…as we see dozens and dozens of Sombrero billboards on the horizon waiting to tempt them. PANEL ONE: This is a big SPLASH PANEL that takes up about 2/3 of the page. It is done like a placemat from a cheesy diner showing a map of the highway, Mordecai and Rigby in the truck, and the route toward Sombrero World, with the cart dealership at the end. A dotted line follows Mordecai and Rigby’s path. Sombrero World appears like a big city shaped a sombrero with sombrero-towers. -CLASSIC VIDEO GAMES! SOME ACTUALLY WORK! -OUR MINI-GOLF COURSE! NOW 17% WEED FREE! -TAKE A SIESTA WITH PONCHO! –$2 FOOTLONG HOAGIES! MADE WITH FRESH WEEK-OLD MEAT! -PECAN LOGS! GUARANTEED TO INDUCE INSULIN SHOCK OR YOUR MONEY BACK! -Some novelty sombreros, including one covered in light-up neon, one with a working roulette wheel in it, a razor-tipped one Poncho is throwing like Oddjob in James Bond, one with a chip-dip thing in its brim (like the “Nacho Hat” from that Simpsons episode) where you can reach up and dip chips into the dip in your hat; a rocket sombrero (the rocket is in the middle part of the hat and Poncho is flying upside-down), one that’s designed like a crystal chandelier, one that’s designed like a juicer, where you squeeze an orange/lemon against the middle part, one with a satellite dish and a fold-down TV screen that goes in front of your eyes. 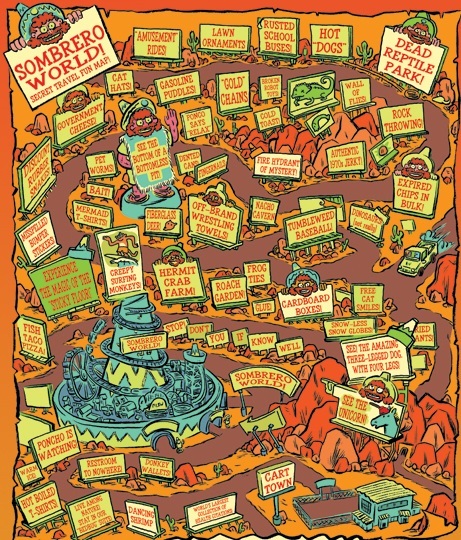 Imposed over the map are two Hitchcock-like images of Mordecai and Rigby’s heads, sweating bullets and mouths agape as they are tormented by this cavalcade of temptation. There is also an image of their hands clasped in solidarity. (ZACK NOTES: So this came about in collaboration with Brad McGinty; I realized one difference between REGULAR SHOW on TV and in a comic is that the show has a few minutes at the start of each episode to establish the “regular” situation, and also to do a “time passing” montage to build up to the climax, and both those things are very difficult to pull off in a comic book with static panels and a limited page count. (My first idea was to create something like a nightmare montage with floating billboards and Mordecai and Rigby sweating bullets, but I left the sequence open to Brad for suggestions. He came up with the placemat map idea…and then asked for some extra billboard gags. I wrote like 50, figuring he’d use five….and he used ALL of them and asked for more. RIGBY: AAAAHHH! I CAN’T TAKE IT! STOP, MORDECAI! STOP!!! MORDECAI: No, Rigby! We’ve almost made it! PANEL ONE: Mordecai pushes away Rigby with one hand while steering with the other. RIGBY: PONCHO WANTS US TO STOP!!!!! PANEL THREE: …the truck has zoomed PAST the entrance…and the Poncho statue has turned to stare at its cloud of dust in disbelief. MORDECAI: (from off-panel) …a little longer! PANEL FOUR: Back in the truck – Rigby has his hands on the back window in agony while Mordecai looks in the rear-view mirror. MORDECAI: (from inside truck) Who’s tha may-ahn? Who’s tha may-ahn? Who’s tha may-ahn with tha master play-ahn?! MORDECAI: Who’s the man of the hour all full of will-POW-YAH?! OOOOOOOHHHHHH! 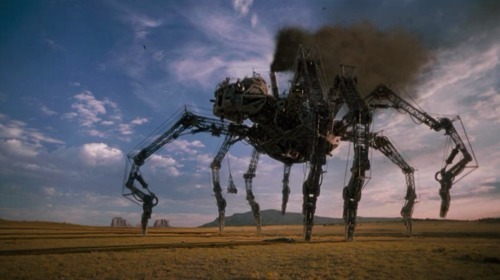 PANEL ONE: BIGGEST PANEL OF THE PAGE…Sombrero World has lifted up out of the ground on giant spider-legs (think Howl’s Moving Castle or the metal spider from that awful Wild Wild West movie). We can now clearly see a number of cool things on it, like a water slide, a Ferris wheel, a roller-coaster…all stuff that incorporates the sombrero motif. Some hapless TOURISTS are clinging on for dear life. The head/face is a robotic version of Poncho with glowing eyes. RIGBY : (from inside truck) …I don’t think Sombrero World WANTS us to drive past! 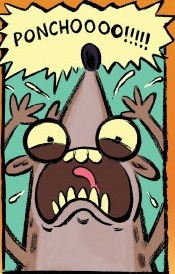 PANEL TWO: Close on Mordecai and Rigby SCREAMING as we see the looming park-spider-monster in the background. SOMBRERO WORLD: PONCHO SAYS…TURN AROUND. NOW. BIG WALT SIMONSON-STYLE SFX: DOOOM! PANEL FOUR: The truck heads down a ramp, where a Sombrero World billboard featuring a bunch of dead-eyed lizards is on the side of the road (some are tilted slightly, obviously not alive and propped up). It reads “COME VISIT OUR NEW REPTILE PARK! SOME LIZARDS EVEN ALIVE!” The lizards’ eyes are all lit up like the terrifying laser statues from The Nevernding Story. RIGBY: (from inside truck) Look out! PANEL FIVE: Close on the billboard as the eyes FIRE at them! This alternates some bigger panels of action with smaller panels that are close on the characters. PANEL ONE: On the road, as we see the truck weave back and forth (a curved dust trail indicates their path) as it dodges LASER FIRE from various BILLBOARDS (we don’t have to see them, just enough to suggest this is where the lasers are coming from). RIGBY: (from inside truck) Don’t go straight! SERPENTINE! SERPENTINE! PANEL TWO: Sombrero World foot SMASHES into the ground in front of the truck, which awkwardly changes its path. PANEL FOUR: Poncho-bot sneers as CANNONS emerge from it, firing giant PECAN LOGS at our heroes! PONCHO: …WITH A TASTY PECAN LOG? PANEL FIVE: In the truck, Mordecai jacks the wheel left! PANEL SIX: BIG PANEL: GIANT PECAN LOGS splatter against either side of the truck! One has felled a tree! PANEL EIGHT: Close on Mordcai’s eyes, narrowed like a BAD DUDE. MORDECAI: …I have a plan. (ZACK NOTES: Okay, so Mordecai’s plan was a little more elaborate in my initial vision. (There were two ideas that didn’t make it into the final story. One was the idea that Mordecai and Rigby had known about Sombrero World in the past and wanted to stop there as kids, and you’d have a flashback with Li’l Mordecai and Li’l Rigby in the backseat begging the unseen parents in the front seat to stop, and later, you’d have another flashback with Mordecai and Rigby fighting over something and not noticing that the parents were screaming about lasers and such. PANEL ONE: Close on Mordecai and Rigby in the truck, seen through the windshield. Mordecai is hunched close to the wheel, really determined. RIGBY: What are you doing, man? PANEL THREE: Sombrero World bumps its Poncho-head against the entrance trying to follow…it can’t. PANEL FOUR: BIGGEST PANEL OF THE PAGE: It raises up to the heavens and ROARS in agony, a couple spider-legs raised! (we see some tourists falling off). The Poncho-head is half-mutilated, giving it a Terminator-style look. PANEL FIVE: In the truck, Mordecai and Rigby high-five. MORDECAI: We got here! We got the cart! PANEL FOUR: Benson, in his room, is dumbstruck. BENSON: Wow. I…I really believed you two were going to blow the deadline. This is amazing. BENSON: I’m proud of you. PANEL SEVEN: BIGGEST PANEL OF THE PAGE: Mordecai’s frozen as he hears Benson’s request.…as in the background, we see the Sombrero World Park outside the dealership, waiting for them. Rigby’s tugging at his arm, trying to get him to see it. BENSON: (on phone) I’ve always wanted to get a hat from this place Sombrero World! BENSON: (on phone) You think you could stop and get one for me? So anyway, that is my commentary on “Sombrero World.” I’m sure like three people will read and enjoy this post, and possibly learn something from it. Come back next month for my commentary on my and Brad’s ADVENTURE TIME story, “Grocery Time” starring BILLY! And then pray that I get some more comics-writing work so I can do another of these.